Peter Campus, Optical Sockets, 1972-1973. Installation vidéo en circuit fermé, dimensions variables, 4 caméras vidéo de surveillance, 4 moniteurs vidéo CRT, 1 mixer vidéo. Courtesy de lartiste et de la Cristin Tierney Gallery. Installation à lEverson Museum of Art, Syracuse, NY, 1974  Photo Christopher Coughlan, courtesy Paula Cooper Gallery. © Peter Campus 2017. PARIS.- American artist Peter Campus (born in 1937 in New York) is one of the most influential pioneers of video art, along with artists like Bruce Nauman, Nam June Paik, Joan Jonas, Vito Acconci and Bill Viola. The latter helped Campus install his first major exhibition at the Everson Museum of Art, Syracuse (NY) in 1974. Throughout his career, Peter Campus has produced videos, installations, and a large body of photographic work. In his recent video work, he makes use of digital techniques to work on the image, pixel by pixel, rather like a painter. Using an extremely high-definition digital camera, Peter Campus pursues his current work. A large number of his works are featured in some of the worlds greatest contemporary art museums. The exhibition "video ergo sum"the artists first solo exhibition in France retraces the artists career, starting with the experimental video art from the 1970s to his more recent video production. 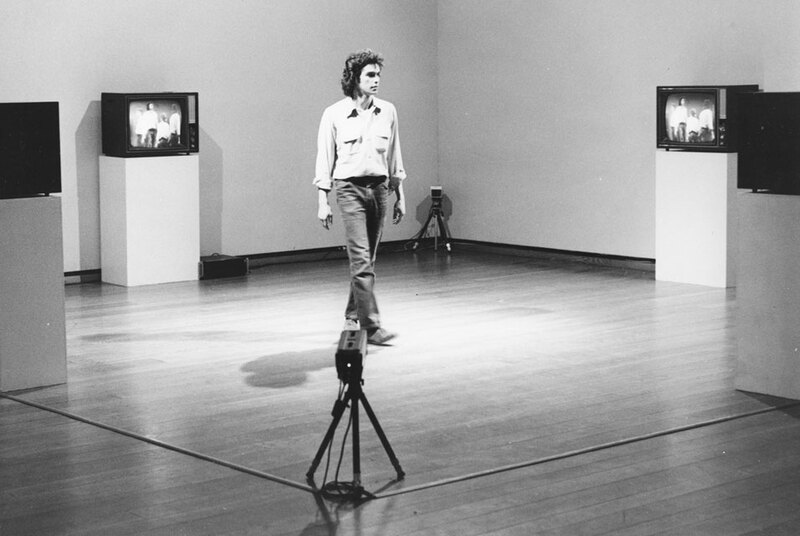 Following studies in experimental psychology and film, in 1971 Peter Campus began to create videos and closed-circuit installations. Their conceptual and technical skill, combined with their psychological and cognitive dimension, resulted in a great deal of attention by art critics and specialists. Campuss works have become an important reference and have been discussed in numerous publications examining the video as an art form. The spectator is once again relegated to his activity as observer. The next part of the exhibition explores the artists work from the 1980s to the present day, and opens with a series of black and white photographs of faces, followed by an installation of stones projected onto the walls. With photography, the artist may be said to engage more with the outside world, the suburban space and the natural elements that surround him, onto which he projects his emotions and imagination. Campuss work continues to explore the notion of perception, in all its sensory, cognitive and psychological dimensions, giving way to an intensification of vision (both physical and mental), and emotion. Video, abandoned for a time in favour of photography, makes its return in the 1990s. However, the body is no longer the primary focus of experimentation. Although the performative dimension initially persists, it gradually gives way to landscapes, particularly the sea, and other objects affected by time and natural phenomena, or the impact of human activity. The artists current video production is presented at the end of the exhibition. These works explore the possibilities of high definition digital video and allow Campus to create a pictorial work that involves another form of perception and spatial memory. A new piece, convergence dimages vers le port, was especially created for this exhibition. Tampa Museum of Art presents "Who Shot Sports: A Photographic History, 1843 to the Present"